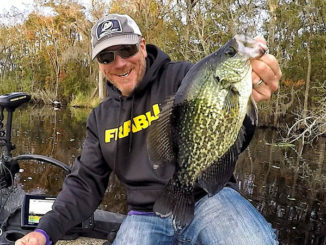 Old school Mississippi crappie fishing means using a jig pole to search for crappie in the grass and is still a top producer for slabs this month. An 11- or 12-footer will allow anglers to reach deeper into the vegetation to get to fish others miss. 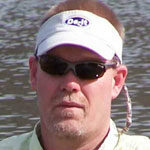 Long is the debate over exactly how current, whether it be wind or water generated, has on crappie fishing. Some fishermen say crappie avoid current like the plague, and therefore they only fish in areas where there isn’t a ripple to be found. Others swear crappie don’t mind current, and, as evidence, recount times when they caught fish in 30 mile per hour winds or drastically rising or falling water. 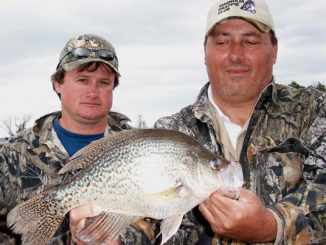 In areas of modest or temporary current, crappie will often use any available structure to break the flow of the current and provide them with both rest and an ambush point. Areas with current also have higher levels of dissolved oxygen. Moving water may tend to fall on the cooler side and cooler or fresher water, as in runoff, may hold more oxygen. Both baitfish and gamefish are drawn to areas holding more dissolved oxygen. 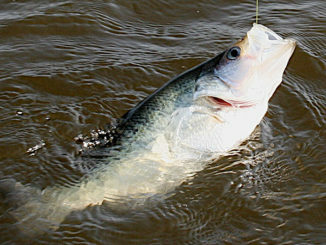 They debate often branches out, like which direction the angler should present baits when dealing with current. One school of thought indicates that crappie always face into the current in order to minimize their profile. 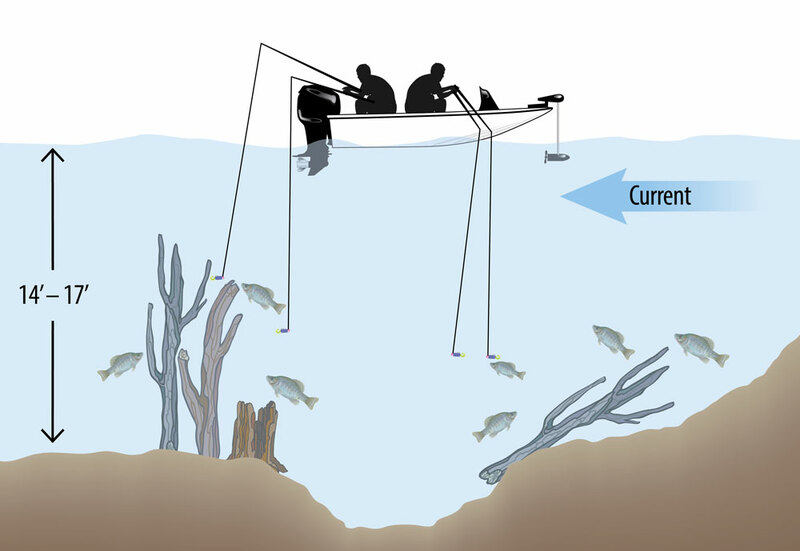 By facing into current, crappie can detect any possible prey that is blown in by the current. The opposing thought involves boat control over deciphering the fish’s actual preference. 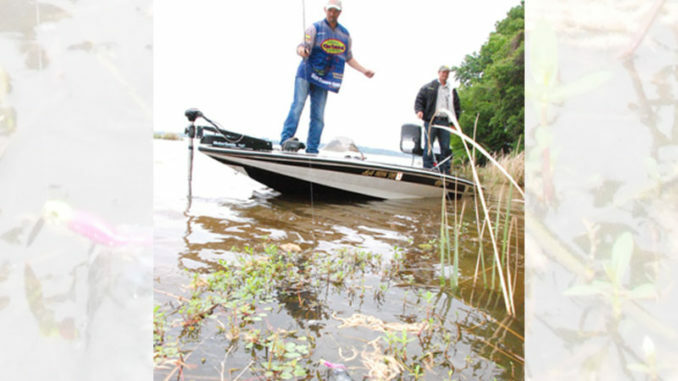 By fishing into the current, the boat can be inched forward, thereby placing the baits into the lee of the oncoming current and staying in the strike zone longer than for a boat that is pushed rapidly through the holding area by the prevailing current. Of course, trolling crappie anglers may differ in their presentations from anglers who work a single bait with a single pole.